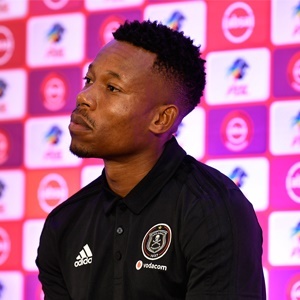 Cape Town - Jazzman Mahlakgane, the agent to Orlando Pirates captain Happy Jele, has revealed he is optimistic that the club will renew the defender's deal in the near future. Jele's contract expires at the end of the season and it is unclear what Bucs have in mind for the experienced star. The 32-year-old has been with the Sea Robbers since 2006 and continues to play an integral part of the side's success. In 2018/19 he has been converted to centre-back with relative success as Bucs have a three-point advantage over Mamelodi Sundowns at the top of the Premiership standings. Previously, the Mpumalanga-born ace was used primarily as a right-back though coach Milutin Sredojevic appears to believe in his capabilities in a more central role. Speaking to Soccer Laduma, Mahlakgane, hinted that a deal was in the pipeline for the skipper. He told the publication: "There are no concerns there. Pirates is a big club and have their way of doing things. "I don't see any problem that may arise. We don't expect anything opposite to what we are thinking."